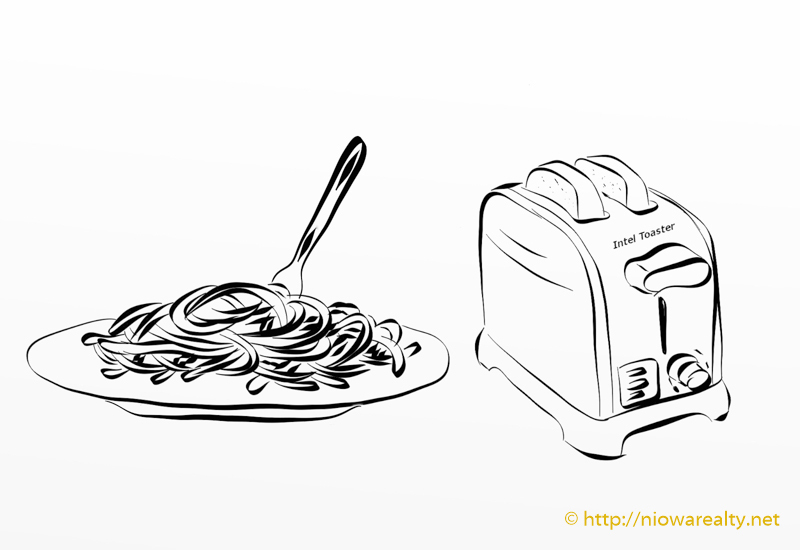 Share the post "Spaghetti or Toast"
I have to laugh to myself on occasion at the unusual eating habits of some people I encounter. Seeing convenience stores selling breakfast pizza slices along with hot dogs turning on a grill, burritos, and even chicken salad sandwiches makes one wonder how this whole business of re-defining what breakfast is got started. I’m sure many of you remember the traditional breakfasts of either cold cereal and a piece of fruit or something hot like bacon and eggs with toast. Just speaking about it causes me to remember some of the breakfasts I was served as a youngster along with my siblings. I’m not sure what my favorite was because simply thinking about the varieties recalls tastes to die for today. Back then we had home baked bread, fresh eggs and real bacon. Bacon, eggs and toast was served often and in the summer along with several slices of tomato. Oh yes, the taste, the texture, and the visuals of multi-colored items begging to be eaten. Sunday mornings were more the treat because along with the bacon and eggs, we were served pancakes made from scratch. Often times they were buttermilk pancakes which were even better. The trails of maple syrup and real butter a-top steaming pancakes on a dinner plate with a sunny-side-up fried egg and one side and bacon on the other. Not long after every last morsel was eaten, I would find myself getting sleepy and dreamy-eyed. Yes, that was certainly a caloric overload but sinfully good. Even real, made from scratch oatmeal, was delightful with half and half poured on top with a several slices of cold butter. Sometimes there would be fresh raspberries or strawberries sliced and stirred into the creamy mixture. If you wanted to add a little zip, there was always a shaker of cinnamon to sprinkle on top. Every spoonful was a medley of texture and taste. Fresh hot oatmeal on a wintery day really gives you a lasting warmth. During the summer when the heat was heavy, we would have fresh sliced home made bread that was toasted and thickly covered with real butter and sprinkled with cinnamon and sugar. The serving plate was piled high with slices that tasted so good be they warm or cold. If you wanted to eat light, toast with butter and a choice of peanut butter or home-made raspberry or strawberry jam filled the bill. There were times when we would have poached eggs with lots of pepper and buttered toast with likely a halved banana. Kitchen sounds of today are much different than in years past. The sound of a percolating coffee pot slowly cooking the coffee, the crackling of frying bacon and eggs, the toaster snapping up with golden brown slices, and of course the whistling of the tea kettle just in case green tea was preferred. Now I am getting hungry. Today we find so much pre-cooked and packages breakfasts that take likely two minutes to cook and serve, as well as the wagon train of fast food restaurants and convenience stores that make it too easy to simply grab on the run. I was once offered spaghetti for breakfast while on a visit. Spaghetti for breakfast? I was informed that it was really good and filling but wasn’t brave enough at the time to try it. The second offering was toast and single packets of jam. I went with the toast and called it a light one. Today we seem to have multiple breakfast choices; everything from spaghetti to toast and likely all you can imagine in between. Gimme those old fashioned heart-stopping breakfasts and I promise to work them all off.